Finding the best Android TV box can be tough, especially when it’s your first TV gadget. With so many options, it’s important to know what different TV boxes offer. Need a wireless router or wireless adapter? We made articles about those as well. 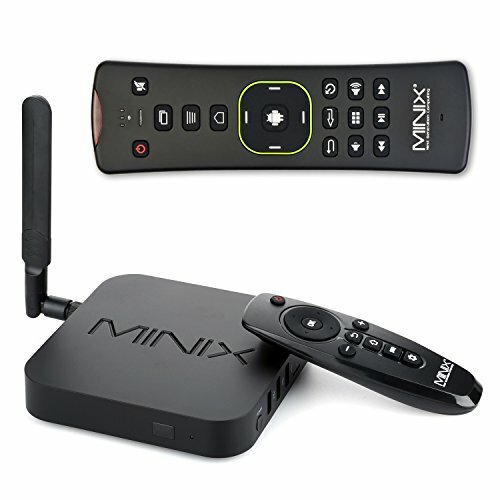 The Minix NEO Android TV Streaming Player comes with a wireless mouse remote control to make your life easier when it comes to watching TV using an Android box. This device is powered by an Octa-Core 64 bit processor so you won’t have any performance issues. 2GB RAM keeps the system running smoothly even when you are using a resource-hungry app or watching a 4K video using this device. The Minix NEO U9 comes with 16GB of flash storage. You can store your favorite movies and TV shows on this eMMC memory so you can watch it later even when you don’t have great internet access. The device supports 4K and 2K UHD video playback. It plays these videos at 60fps. It has an HDMI 2.0 port that ensures you get the best possible picture quality along with flawless audio. The powerful GPU renders video like you have never seen it. The device runs Android 6.0 and it comes with Dual-Band Wi-Fi for super fast transmissions. This ensures that you will always stay connected to high-speed internet. This high-quality hardware allows you to stream videos from the internet without having to wait for it to buffer. You won’t see any lag either. This TV streaming media player comes with over 15,000 apps and many games. Once you buy the Amazon Fire, you will have access to over 300,000 movies and episodes. It’s so much content that you’d never run out of new TV shows and episodes. 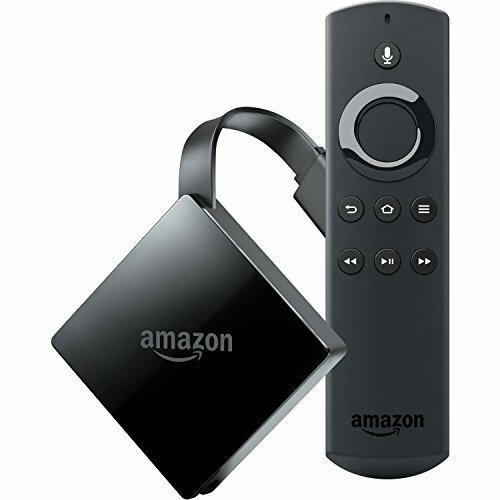 When it comes to watching TV with the Amazon Fire, you have the option to find your favorite channel or show using the built-in search feature. You have over 140 channels in this box so you will find the search feature really useful. The EVANPO Smart TV Box runs on the latest Android 7.1 version. It’s powered by the Amlogic S912 Octa-Core processor that ensures no lag even when you keep the device on for hours. It delivers one of the best performances on the market. This device has a built-in Bluetooth and WiFi 2.4G. It can communicate with your WiFi devices and make life easier for you as you will be able to connect Bluetooth devices to it. For example, you can connect a Bluetooth keyboard to use the search function from the couch that you don’t want to leave while watching TV. Similarly, you can pair other accessories with it and enrich your TV viewing experience. You can stream movies and TV shows online using this device. Your options are unlimited as this box supports many popular streaming services such as Hulu, YouTube, and so on. However, this is not your only option as you can use this box to play local media. The box comes with a large storage capacity so you can easily store your favorite shows and movies locally on the device. Remember, this box comes with a wireless keyboard remote so you don’t have to buy an additional one. You can use this keyboard with anything that lets you connect a wireless keyboard to it, including computers, Smart TVs, XBOX, and so on. 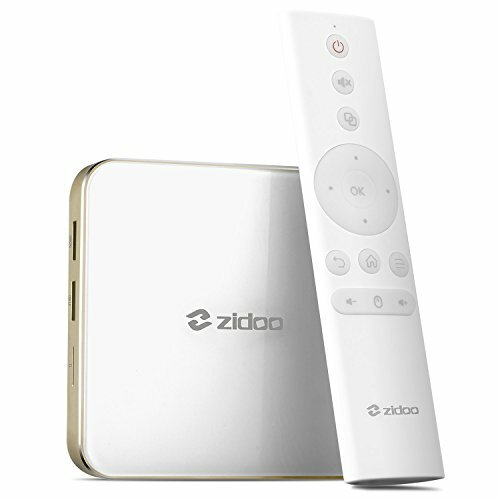 The device comes with built-in decoders for all the latest audio and video files. As a result, you can play just about any format using it. 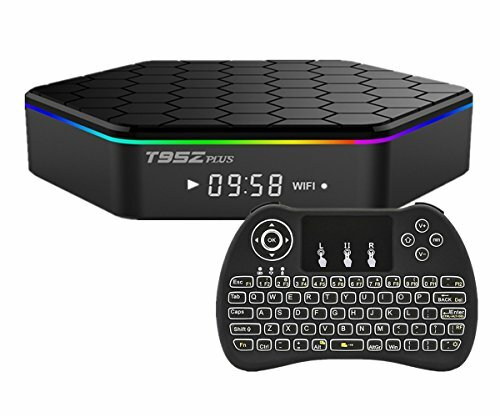 The T95 is one of the best TV box devices that is constantly evolving software wise. 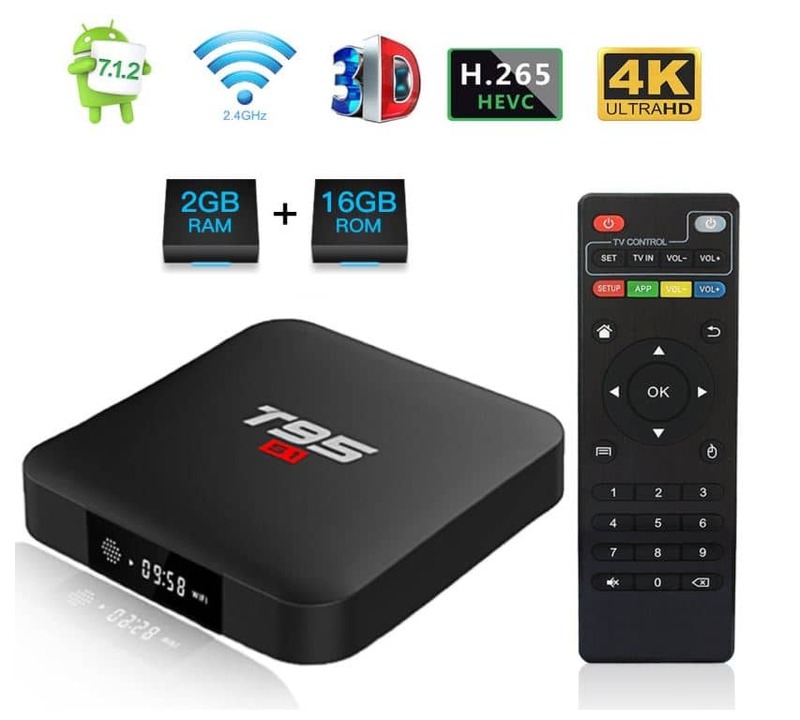 This device is powered by Android 7.1 that provides good performance, whether you are streaming 4K content from the internet or watching an HD movie from local media storage. The T95 Android TV Box doesn’t freeze the picture or take a long time to buffer content. You can watch unlimited movies and TV shows using this device. It supports 4K content with the new type of HDMI cable. Unlike traditional HDMIs, this 17+1 type port delivers perfect detailed picture and crystal clear sound. 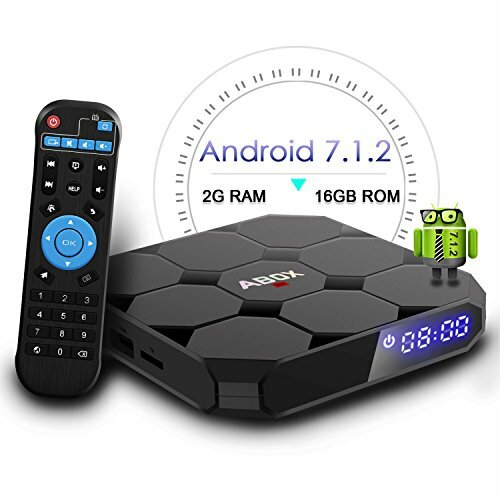 This Android box uses the Amlogic S905 processor that makes watching TV a charm. It supports HLG and HDR processing. Unlike other products on the market, this one comes with EMMC memory that allows super-fast communication with the device’s other hardware components. As a result, your TV box delivers great performance without compromising the video/audio quality. The ultra-fast processing speed makes it possible to watch 4k and 2k videos. 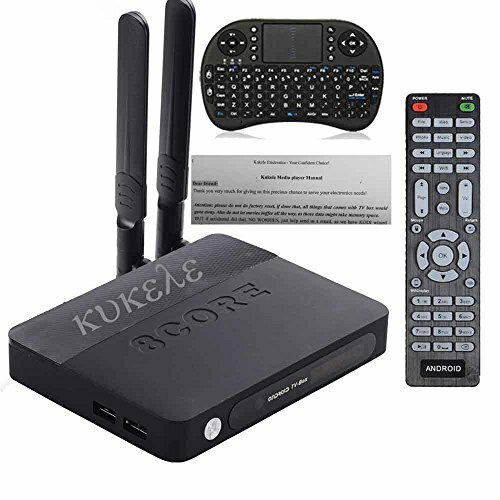 This TV box from Kukele is one of the strongest TV boxes that you can find in the market these days. It has 3GB of RAM which is better than most other products on the market. The Octa Core processor gives you a lag-free experience when watching HD TV. You will get an instruction manual and a wireless keyboard with this product, which makes operating it extremely easy. It is powered by Android Marshmallow 6.0. This is one of the latest versions of Android which brings many new features, specifically added to the new version for those running Android on TV. You will find many new apps optimized for large screens in the Play Store. The good news is that you can download just about any apps from Google Play Store using this device. Once you have downloaded an app, it will run on your TV just the way you run apps on any Android device. The Kukele has a built-in upgrade feature. This feature makes your life easy as you don’t have to manually update the Android software. It automatically upgrades whenever Google releases a new update for its operating system. 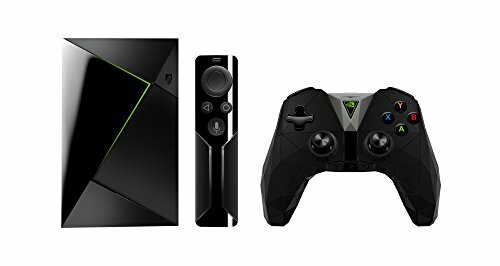 Not just TV shows, movies, and games, but the Shield also brings a huge world of Android apps to your lounge. You can download apps from Play Store that comes pre-installed on the device. You will find hundreds of apps in Play Store that are compatible with this device. 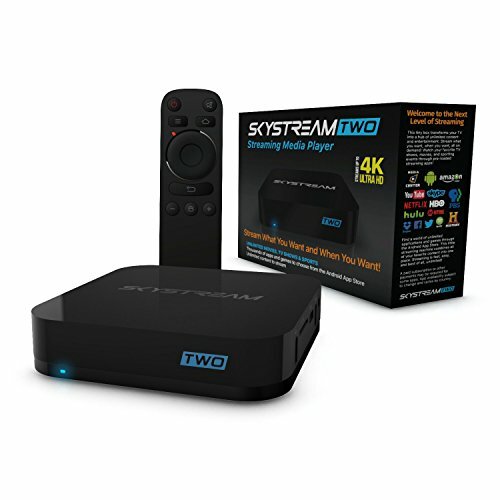 The SkyStream Two Streaming Media Player has a vast library of streaming applications. With complete access to Google Play and various customization options, the SkyStream Two is one of the best Android TV boxes of the year. This TV Media Player lets you watch your favorite shows without subscribing to cable or satellite. You can watch content from a variety of channels on it. Additionally, you can download hundreds of apps using the Google Play Store. I just love the overall quality of the device besides the strong streaming capabilities. 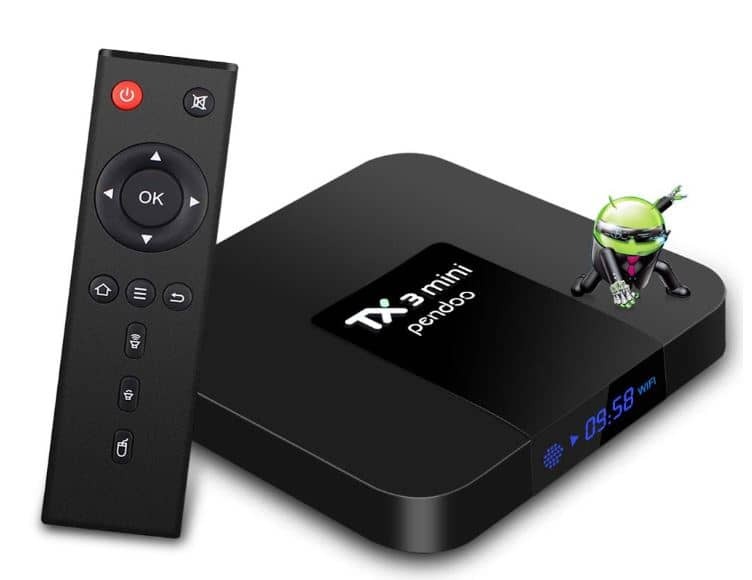 The TX3 Mini TV Box is powered by a Quad-Core processor. This high-performance hardware ensures that you enjoy online streaming without any performance glitches and lags. The device comes with 16GB memory that gives you plenty of space to store your favorite movies and TV shows locally. The device supports an external hard drive connection using a USB so you can easily increase storage if you feel the need. When you buy this product, you get everything you need to stream high-quality videos to your TV. It comes with an IR remote and an HDMI cable. You can buy a USB keyboard and even connect a wireless mouse with this device for easy operation. The Roku gives you access to over 450,000 TV shows and movies. 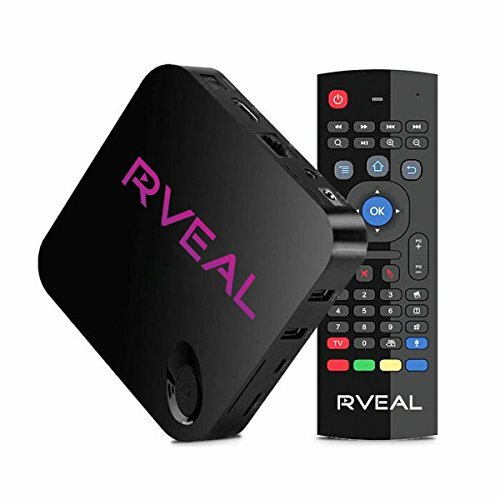 You will have a huge list of free channels to stream but if you want to enjoy premium paid content, you will have the option to stream subscription-based channels as well using this device. 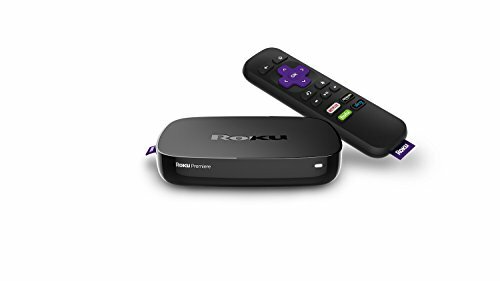 Some of the most famous channels and streaming services that work seamlessly on this device are Netflix, Hulu, YouTube, HBO, PBS, ESPN, and so on. When you will use it, you will always find a free or cheap channel to watch your favorite episodes. You can use the search feature that works flawlessly. Just enter the name of your favorite show and start searching. Roku will show you where you can watch the show and whether it’s free or paid. One of the best things about Roku is that it gives you an app for your mobile phone. You can use the Roku app to make voice searches. You can also share photos using this app. It has all the standard features you would expect from a top-end TV box. It has dual band WiFi for easy connectivity and super fast transfers. It has an easy and intuitive user interface and RC & IR shortcuts to make it easy for users to find their favorite content. The Abox Android TV Box by GooBang Goo runs Android 7.1 (stable) and turns your TV into an Android device. You can stream movies and watch the latest TV shows using Android apps such as Hulu, Netflix, and YouTube. It supports Kodi so you can easily stream TV channels from the internet in HD quality. It has a powerful Amlogic S905W processor that delivers smooth performance whether you are using the device to play games or stream a live football game. It doesn’t heat up like other similar devices so you don’t have to worry about it even when you stream shows all the time. This device runs one of the latest Android versions. It means you can easily download apps and games from Google Play and enjoy them on the bigger screen. You can play unlimited games and install useful apps in no time. Compared to other devices using the Amlogic S905W, this device runs much faster and smoother. It has native support for HDR10 and HLG HRD processing. The company has also installed a quality EMMC memory to give you a performance edge over other devices running this type of processor. The company manufacturing this antenna has its representatives in the US. They have dedicated customer service for US buyers. They provide a warranty for this product to build customer confidence.